Difficulty Switch - The Chip's Challenge Wiki - The Chip's Challenge Database that anyone can edit! The longer you wait to hit this button, the slower the tanks and walls will switch. 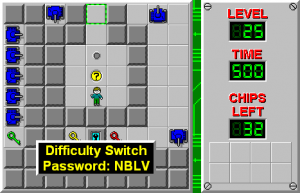 Difficulty Switch is the 25th level in Chip's Challenge Level Pack 4. It was created by Andrew Menzies. 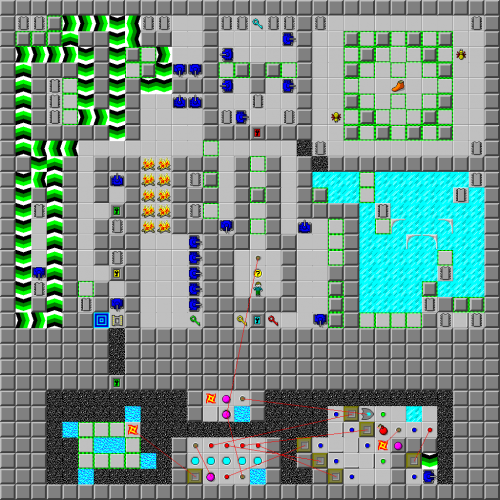 The bottom mechanism was redesigned by random 8 for CCLP4 and was made accessible to the player after they solve the level.